Profab Windows offer high quality Windows, Doors and Conservatories covering Bristol and the surrounding areas. We have over 40 years experience so we are able to provide a knowledgeable and courteous service that is second to none.All our work is project managed in house where our strict quality control procedures and attention to detail can be applied.We have earned a reputation for excellence and have an envious track record of being able to produce and install Windows, Doors and Conservatories to a very high standard. We welcome enquiries of all sorts so if you have any questions or queries please do not hesitate to get in touch. 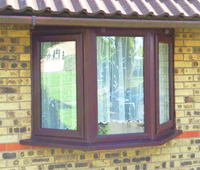 Here at Profab Windows we offer a vast range of uPVC windows. We offer a huge choice of styles, designs, finishes and glazing options for you to choose from. 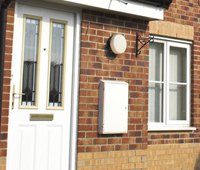 All our windows are designed and manufactured to the customers individual requirements. Whether you are wanting to create a fantastic first impression to the entrance to your home, or framing a view of your rear garden. The right door will give your property charm and character while also keeping it warm and draught free. When it comes to designing and building conservatories Profab Windows are experts with a vast array of experience. We offer a complete service starting with your planning approval if needed, we then design to your requirements. 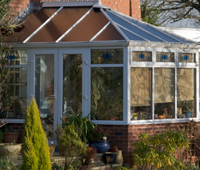 We then bring the conservatory design to life with a custom build and bespoke finishing.